The 2019 AJ Solutions Open House (27th and 28th March 2019) was another huge success. AJ Solutions represent companies based globally providing equipment and technological solutions for the plastics sector and many were present with table top displays. 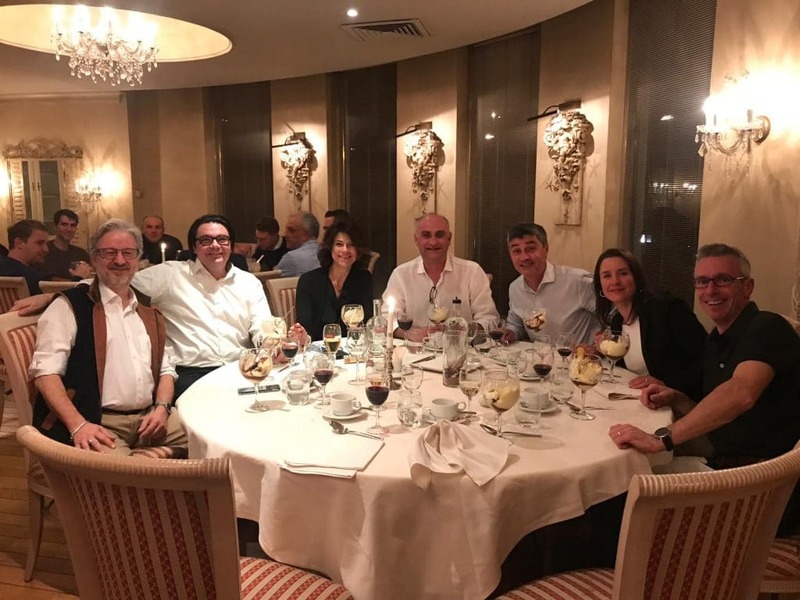 “The Open House is a great idea, providing an opportunity for many of AJ Solutions principles to network and to meet our end customers,” said Dave Hills, Bunting’s Head of Sales. The Open House was held at the AJ Solutions offices in Zandhoven, Belgium. 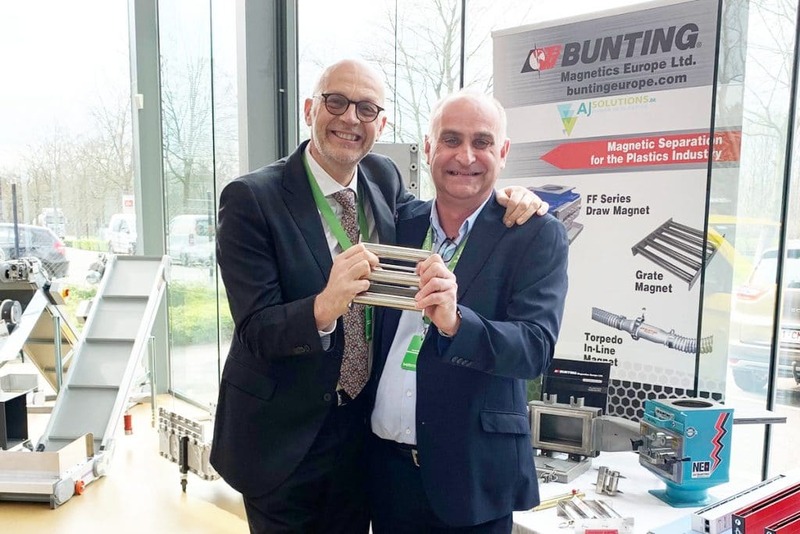 Hills manned the Bunting stand displaying a range of magnetic separators and metal detectors used in the plastics industry to detect and remove metal contamination. 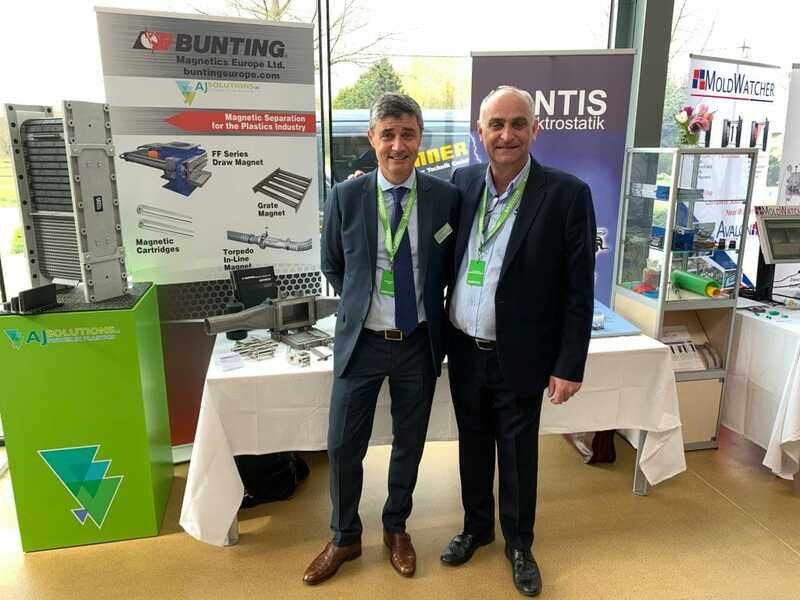 Antoine Bidet from Bunting’s representative in France, BMS France, was also exhibiting at the Open House. 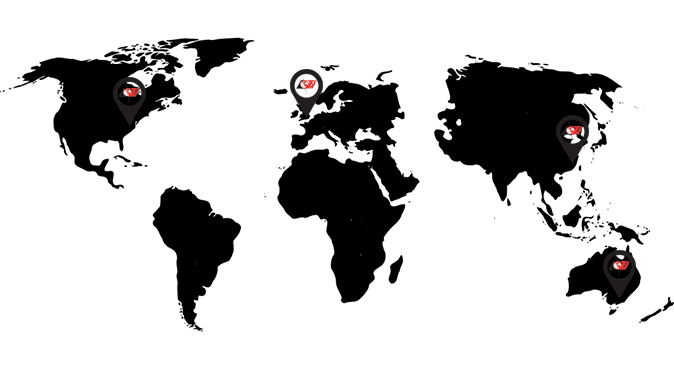 BMS work closely with AJ Solutions in the Benelux region. Other companies present at the Open House included EuroChiller from Italy and Nordson from the USA.